This listing is for 1 (one) PDF Knitting Pattern in ENGLISH ONLY (no other languages). 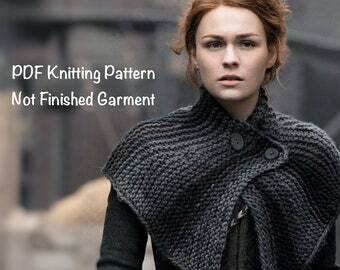 This is the knitting pattern for Claire's Rent Shawl as shown in episodes 106 & 107 of season 1, and episodes 8-13 of season 2 of the Outlander television series. 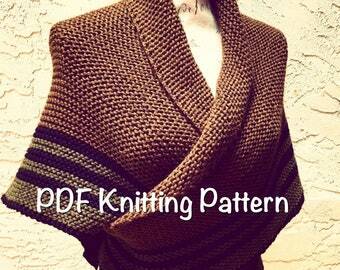 You’ll need 3 different colors of worsted or heavy worsted weight yarn. Wool or wool blend is recommended, however if you are sensitive to animal fibers, a worsted weight acrylic will also work. 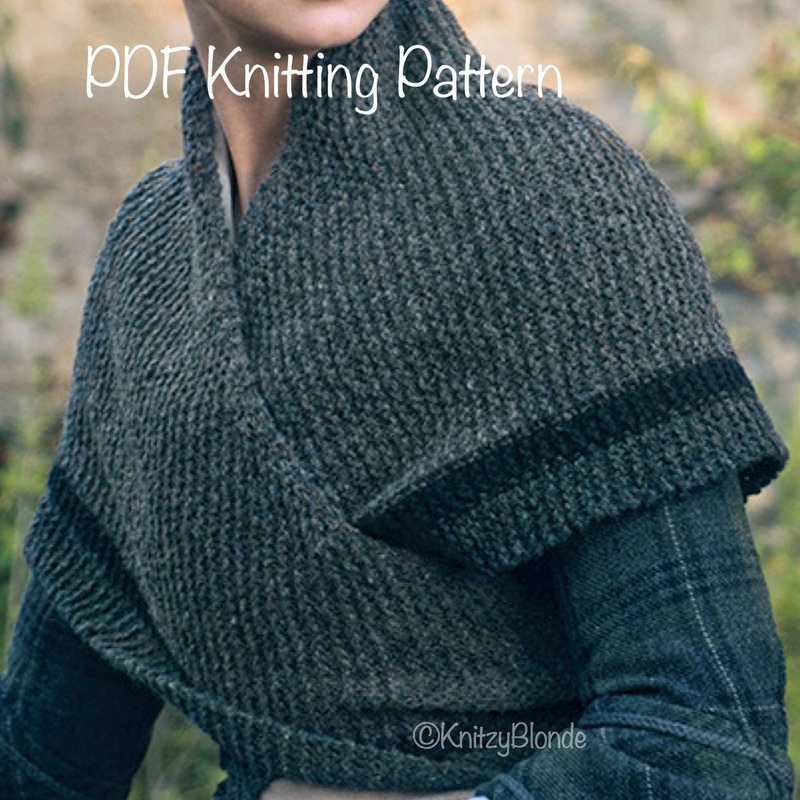 I recommend Wool of the Andes (regular, tweed or super wash) yarn from KnitPicks (110 yards per 50g ball). 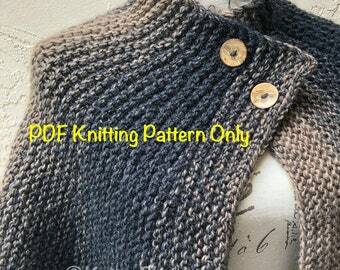 Any other worsted weight or heavy worsted weight wool or wool blend can be substituted. Main color (MC) 3 balls. Color A (C-A) 2 balls, and Color B (C-B) 2 balls. Total yardage needed approx: 650-700 yards. Finished & blocked measurements of this shawl are 70" wide (wingspan), and 34" up the center spine. 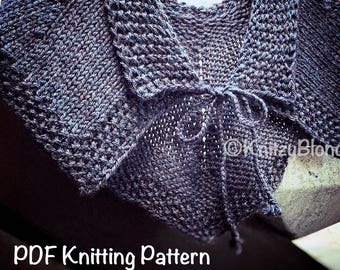 There are also instructions on how to make is smaller or larger if needed, which will change the required yarn yardage. 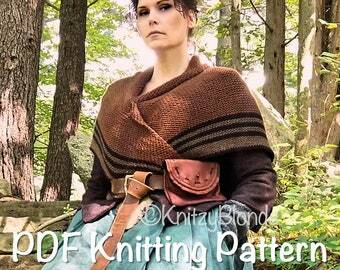 After you purchase this pattern you will be given a link to download it to your computer. Nicely written pattern. 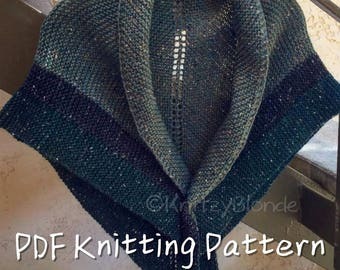 There are links to helpful information if you are new to a certain technique called for in the pattern. Thank you. 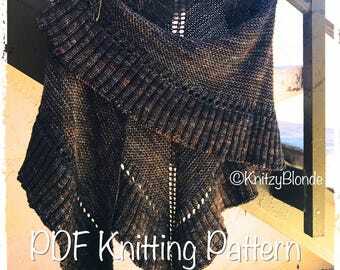 I received the pattern initially when ordered the pattern. 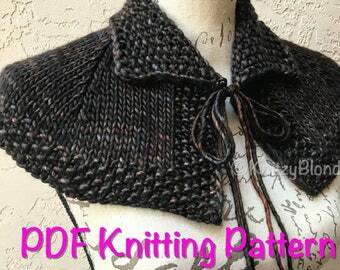 I love the the pattern have not dove in to making it yet. bought this one first then another from the same place. patterns are easy to read,etc.